Copy of trade card: James Ayscough at the Great Golden Spectacles, in Ludgate -Street, near St. Paul's, London. 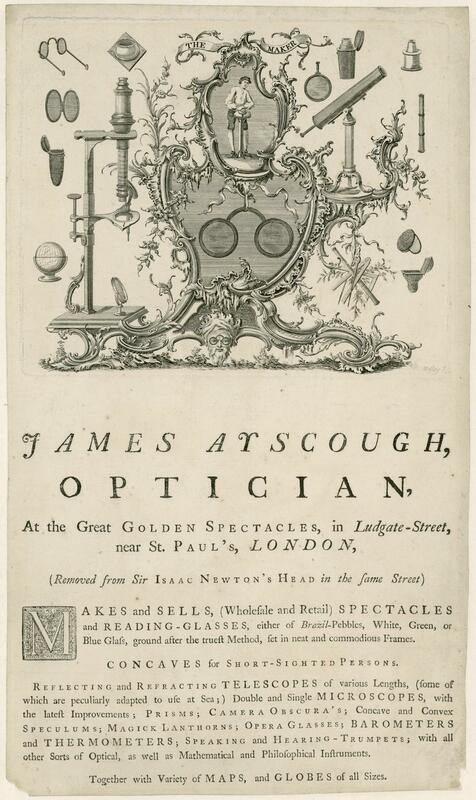 James Ayscough was an optician working at premises indicated by the sign of the ‘Great Golden Spectacles’ in Ludgate Street in London in 1749. Trade cards such as these were used to advertise businesses and may have been given out with purchases. 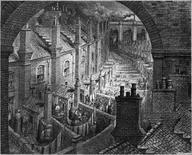 Ayscough also made instruments which required ground lenses, such as telescopes, microscopes and thermometers as well as optical instruments made for amusement, such as magic lanterns. 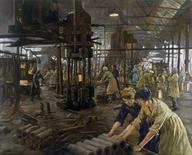 The techniques required for grinding fine lenses meant that this was a highly skilled profession.